Three of my paintings are featured in a new book written by Robin Whitcomb, author of Wealding The Willow and Home Sweet Home. The book's title is Hidey Holes and is published by Troubador Publishing and is available online at Amazon and Waterstones and other retailers. 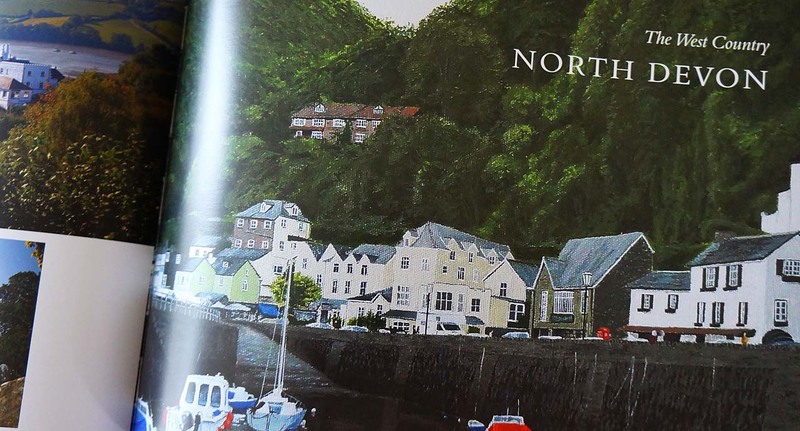 Featured painting: Lynmouth Harbour. Acrylic on canvas. Size: 12 x 24 inches. SOLD at Gallery at 500 Feet, Lynton. Hidey Holes takes in North Devon, Pembrokeshire, and the castles that line the rugged Northumbrian coastline, before Robin heads back to South Devon to visit Agatha Christie’s home at Greenway House. Robin’s photography and light-hearted account of his journey, accompanied by landscapes by local painters, will delight readers who love local history, art and the British coast. This is Robin's third book following Wealding The Willow (a picture portrait of village cricket in the Weald, published by Tempus in 2005) and then Home Sweet Home (showing the most unusual places and homes where people live, published by Troubador in 2011). Featured painting: Instow Boats. Acrylic on canvas. Size: 14 x 10 inches. SOLD at Docton Court Gallery, Appledore. I first found out about Robin's book project during April 2012 from Cliff and Katherine Bench (owners of Gallery at 500 Feet, Lynton, North Devon) who Robin had contacted initially when enquiring about my artwork with the possibility of using it in his third book. 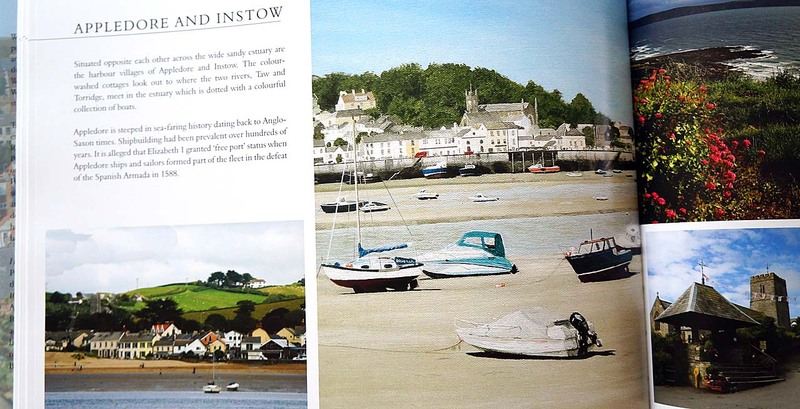 After emailing Robin and speaking with him over the phone several times — with Robin discussing with great enthusiasm his plans for his third book, which was to take him several years to put together — I was delighted that Robin would be using a number of images of my North Devon paintings in the book. It was a great honour indeed to have been selected by Robin as one of the artists to be represented in the North Devon section of his book. 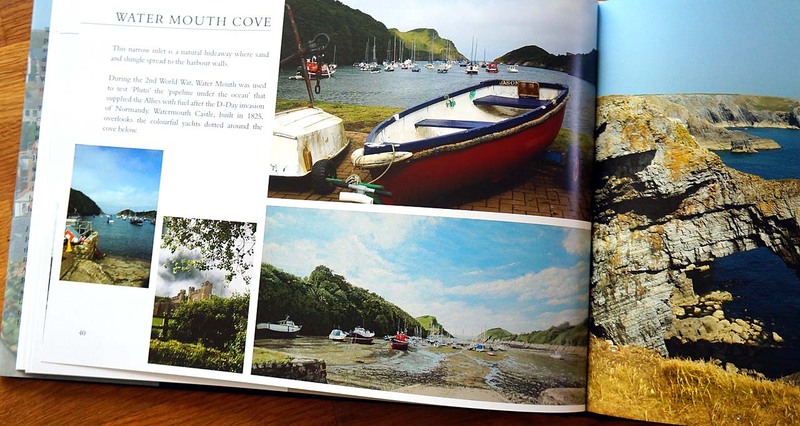 Featured painting: Watermouth Cove at Low Tide. Acrylic on canvas. Size: 12 x 24 inches. SOLD at the Burton Art Gallery, Bideford. 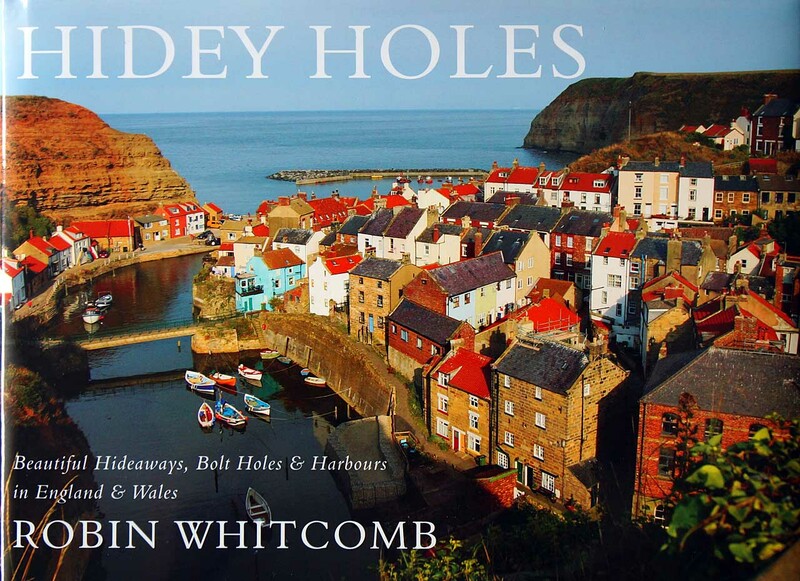 Hidey Holes — Beautiful Hideaways, Bolt Holes and Harbours in England and Wales. Robin Whitcomb was born in Scarborough, Yorkshire, in 1945. After leaving school he spent two years in America working in the oil business in Tulsa, Oklahoma. After leaving Oklahoma, Robin headed west to California, to meet up with his older brother, Ian (an English entertainer, singer-songwriter, record producer, and actor, who had a hit in the mid 60s with the song You Turn Me On). Ian introduced Robin to rising stars Sonny and Cher, and Robin became their drummer and percussionist, playing on their big hit I Got You Babe. Returning to the UK, Robin played cricket for Marylebone Cricket Club and rugby for Richmond RFC for ten years. While at St. Luke's College, Exeter, he represented the SW Counties XV v South Africa and then Fiji. He also played county rugby for Devon and Surrey. Robin worked for The Daily Telegraph before teaching at Dulwish Prep, London, for thirty-three years. He has been coaching cricket at Colet Court, St. Paul's Junior School, in London, for the past eight years. Biographical and book publicity text; Copyright © 2016 Robin Whitcomb.